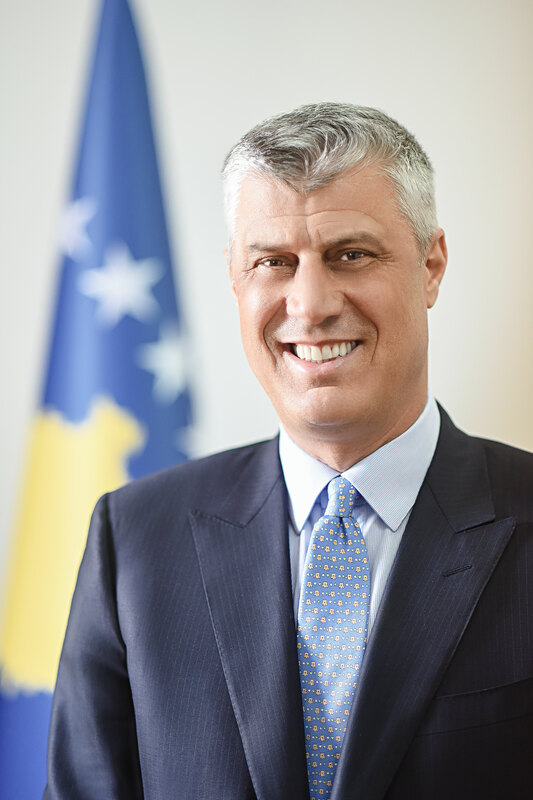 Hashim Thaçi is the President of the Republic of Kosovo elected on 26 of February 2016 in the Assembly of the Republic of Kosovo. He assumed the duty of the President on 7 April 2016, by giving his solemn oath before the Assembly of Kosovo. Before becoming the President, Thaçi was for a year as the First Deputy Prime Minister and Minister of Foreign Affairs (2014-2015), and served two terms as Prime Minister of Kosovo (2007-2014). Hashim Thaçi was the first President of the Democratic Party of Kosovo and was continuously re-elected as the President of the Party until his resignation on 26th of February 2016, before being elected the President of Kosovo. Hashim Thaçi has declared Kosovo an independent state on 17 February 2008, and he also led the Kosovo team in the Rambouillet negotiations in February 1999 and he was the Political Chief of the Kosovo Liberation Army during the war in 1997-1999. Thaçi was the most voted political leader in the elections of 8 June 2014. 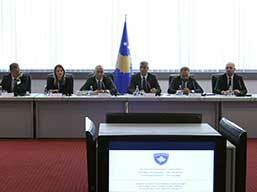 As the Prime Minister of Kosovo, Hashim Thaçi led the political dialogue between the Republic of Kosovo and the Republic of Serbia, which on 19 April 2013 resulted with the signing of the Agreement on Normalization of Relations between Kosovo and Serbia. For his engagement for peace and stability, Hashim Thaçi was nominated in 2014 for the Nobel Peace Prize, by American Congressmen and Senators, as well as by representatives for European Parliament. Hashim Thaçi’s political career began with his engagement in the People’s Movement of the Republic of Kosovo (LPK), a political movement that aimed emancipation of the position of Albanians in the Former Yugoslavia. As a student in the University of Prishtina, Thaçi became the leader of the Student’s Movement in the period between 1990 and 1993, namely the years when the Belgrade regime closed all University institutions in the Albanian language, whereas the University of Prishtina commenced its activities outside the institutional system. In 1991, Thaçi was elected as the Student Deputy Rector of the University of Prishtina, where he contributed in structuring and developing of the parallel university education process. Hashim Thaçi is one of the founders of the political-military organization, the Kosovo Liberation Army (KLA). Since 1997, Hashim Thaçi was the Chief of the Political Directorate of Kosovo Liberation Army. Moreover, he chaired the Kosovo delegation in the International Conference held in Rambouillet, France, from 6 until 22 February 1999. After the war, Hashim Thaçi was the Prime Minister of the Provisional Government of Kosovo in the period 1999 – 2000. Hashim Thaçi was the member of the Interim Administrative Council (IAC), which was a joint governing structure of the UN Mission in Kosovo (UNMIK) and the Kosovo political spectrum, until 2001 when the first parliamentary elections were held in post-war Kosovo. 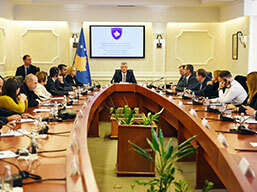 In October 1999, Hashim Thaçi was amongst the founders of the Party of Democratic Progress of Kosovo (PPDK). In the first party convention held in 2000, the party changed its name to the Democratic Party of Kosovo, and Hashim Thaçi was elected as the first President of the Party, a position he held until 26 February 2016. Hashim Thaçi was a member of the Unity Team, which represented Kosovo in the negotiation process during 2005-2007, led by the UN Special Envoy, President Martti Ahtisaari, which negotiated Kosovo's political status. Following the victory of the Democratic Party of Kosovo in the parliamentary elections held on 17 November 2007, Hashim Thaçi was elected as the Prime Minister of the Republic of Kosovo. 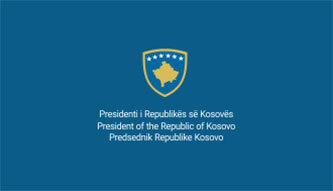 On 17 February 2008, Prime Minister Hashim Thaçi, in the Assembly of Kosovo, declared Kosovo an independent state. Thaçi is the first Prime Minister of the Government of Republic of Kosovo. Hashim Thaçi graduated in History at the University of Prishtina. He attended Post-graduate studies in the field of Southeast Europe’s History and Political Sciences in the University of Zurich, Switzerland (1996-1998). 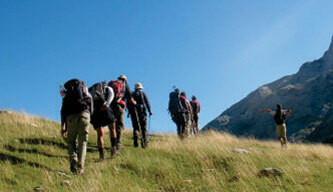 He was born on 24 April 1968 in the village of Buroje, Skenderaj. 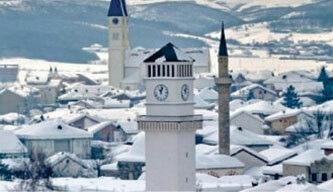 He lives in Prishtina, Kosovo, with his wife Lumnije and son Endrit.